In the same week as a damning report by the IPCC on Stop & Search comes out, family, friends and concerned local community members will be protesting at the violent treatment and criminalisation of Jason O’Connor, a Camberwell resident, who suffered several blows and unreasonable force when he refused to be stopped and searched without adequate reason. On 9th June at approximately 5pm, Mr O’Connor, a man in his thirties of African descent, made a phone call in a phone box on Elmington Road, SE5. Soon after completing his call, he was surrounded by several police officers who asked to stop and search him, he peacefully refused to comply, but officers from Walworth police decided to use pepper spray and blows to the back of his neck to subdue him. On Thursday 11th July, Mr O’Connor was charged with “obstructing the police” and he will be at Camberwell Green Magistrates Court on Thursday 25th July at 9:30am, where a solidarity demonstration will take place. The injustice ofÂ victims beingÂ criminalised is something that the families of Mark Duggan, Smiley Culture, Sean Rigg, Azelle Rodney, Jean Charles De Menezes, Alfie Meadows and many more have suffered greatly from. We are organising this campaign to end this sickening and inhumane behaviour. Stop and Search is often described as a useful tool against crime but we believe it is only useful in harassing black people. According to the Government’s Inspectorate, more thanÂ a quarterÂ of all stop and searches were illegal. 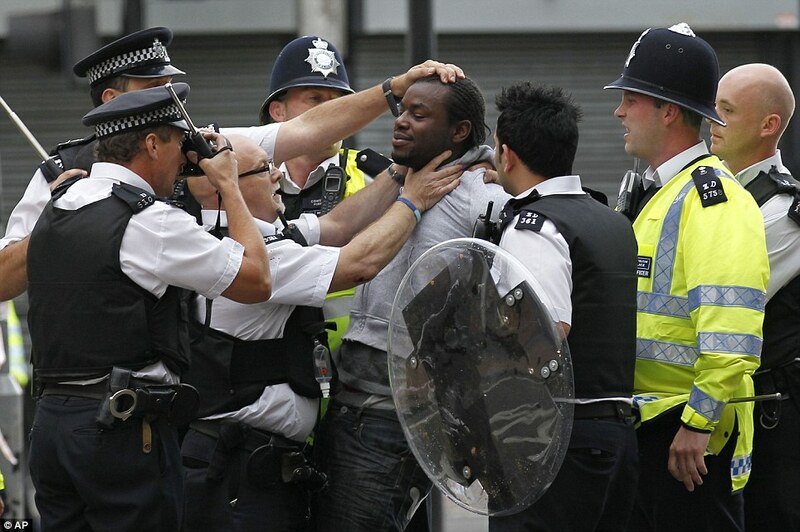 The Home Office own statistics show that black people are 7 times more likely to be stopped and searched than white people andÂ less than 1 in 10Â of stop and searches lead to an arrest let alone a conviction. According to theÂ Metropolitan Black Police Association, the Metropolitan Police Service for London are still institutionally racist. As an organisation, they consistently discriminate against people of colour both externally and internally. All communities and individuals who have been harassed or victimised by the police are welcome to join our demonstration.